Madam G. Naggammal Koh, 67, grew up in an Indian family after she was given up for adoption as an infant by her Chinese parents. While the pioneer leaders were the original architects of Singapore, everyday heroes helped build society here. This is another story about such a person in the series, The Lives They Live. When housewife G. Naggammal Koh speaks with strangers in Tamil, she often gets surprised looks. The 67-year-old grew up speaking the language, is a Hindu and identifies herself as Indian. But Madam Naggammal was born a Hokkien Chinese. She was given away as an infant, but does not know why. Her birth certificate states that her father is Hokkien and her surname is "Koh". She was adopted by an Indian family and raised as one of six children. "I had a happy childhood," she said, speaking in a mixture of Tamil and English. Besides her adoptive parents' two biological children - her older brother and older sister - her parents adopted three younger sisters of different ethnicities. One is Eurasian, another Chinese and the last Indian. They were all raised as Indians, spoke Tamil and adopted the Indian culture. "My parents liked having children," said Madam Naggammal. She gets along well with her older sister, though she hardly knows her older brother as he moved to Malaysia when she was young. Her mother died in 1982, while her father died in 2003. It was not uncommon for Chinese babies to be given away to Indian or Malay families up till around the 1960s, though official statistics do not exist. She said: "I was not bullied or made to feel different in any way." People just stare at my mouth when I speak. 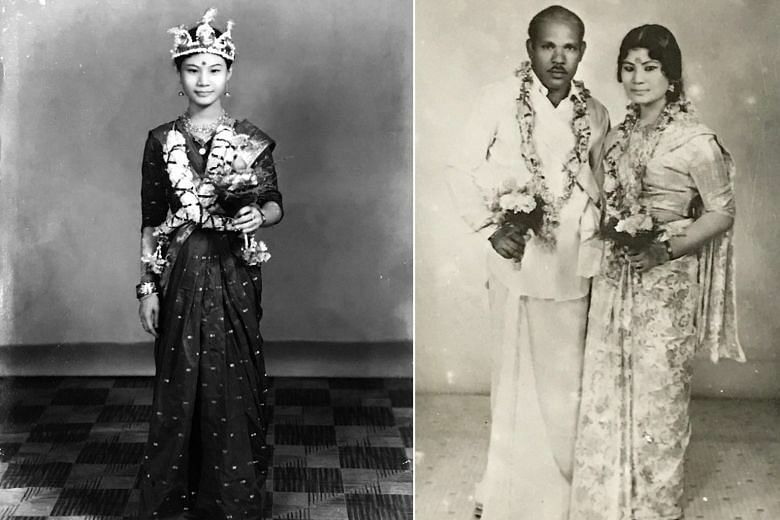 MADAM G. NAGGAMMAL KOH, whose birth certificate states that her father was Hokkien but she grew up speaking Tamil and identifies herself as Indian. She observed that Singapore has moved significantly from the racial tensions seen in the 1960s when she was a teenager. She said that in the past, "there was fighting, but now all of us are living together and happy". 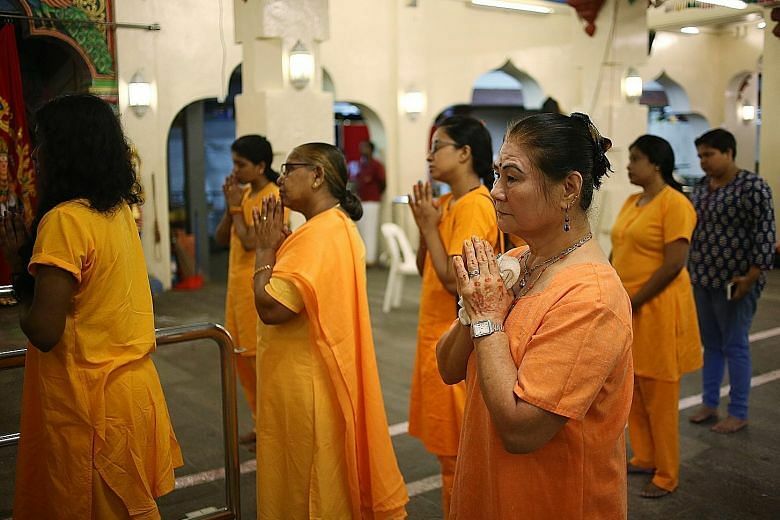 "During Deepavali then, only Indians would celebrate with each other, but now all the different races will come together to celebrate," she added. Her fluent Tamil results in the need for her to explain her upbringing. This happens around once every two weeks. "People just stare at my mouth when I speak," she said with a laugh. One of her most amusing moments came when she was travelling in India with friends and family in 2013, and she went into a store to look at saris. When the tailor saw and heard her speaking Tamil, he looked at her in surprise and asked: "You're Chinese, aren't you?" After a short exchange where the man still refused to believe her, she said: "I just replied, 'No, I'm Indian.' " She said she never really needed to adjust to her adopted ethnicity, and identified herself as Indian from a young age. She married a Malayalee Indian man when she was 17 years old, tying the knot after six months of dating. He owned a contracting firm and was 19 years her senior. "It was the happiest moment of my life," she said. He died in 2005 from a heart attack at 74 years of age. Their 49-year-old son is a civil servant and has two children - a 24-year-old son and a 25-year-old daughter who are both in university, she said proudly. Madam Naggammal also has a daughter, 45, who is a transport manager. She lives with her daughter and a grandson in a five-room flat in Hougang. She has held a variety of jobs throughout her life, working in a factory for three years in the early 1990s and as a store assistant for eight years from 1996 to 2004. But eagle-eyed watchers of TV might recognise her for her minor roles on the small screen. Thanks to a friend in the media industry, she has acted as an extra in about 10 TV shows over the past 10 years. She did not perform in Indian shows exclusively. Occasionally, she has also appeared in Mandarin ones acting - somewhat ironically - as a Chinese woman, although she speaks no Mandarin and only a bit of Hokkien. Her latest appearance is in a Deepavali video released by the Ministry of Culture, Community and Youth on Tuesday. However, inhabiting two cultures comes with its own tension. When asked how she feels about being an adopted child, she said that she still sometimes gets angry with her biological parents. "Why did they give me up?" she said, raising her voice slightly. Yet, when questioned if she ever wished she was raised by a Chinese family, or that she looked more "Indian", she shook her head. "I never thought of it that way," she said, saying simply that she grew up happy. Her only regret was dropping out of Raffles Girls' Primary School when she was in Primary 2. Her elder sister's mother-in-law pulled her out to help with the housework. She said slightly ruefully: "When I was a kid, I didn't know any better - I was happy not to go to school." She now regrets not having learnt English properly. "I was born Chinese, raised Tamil, and married a Malayalee man," she said with a smile at her heritage. Madam Naggammal does not think of race in terms of skin colour. In fact, she does not really think of race at all. "I think everybody is the same," she said. "When we cut ourselves, we all bleed the same blood."